Looking to solve a storage issue at home? 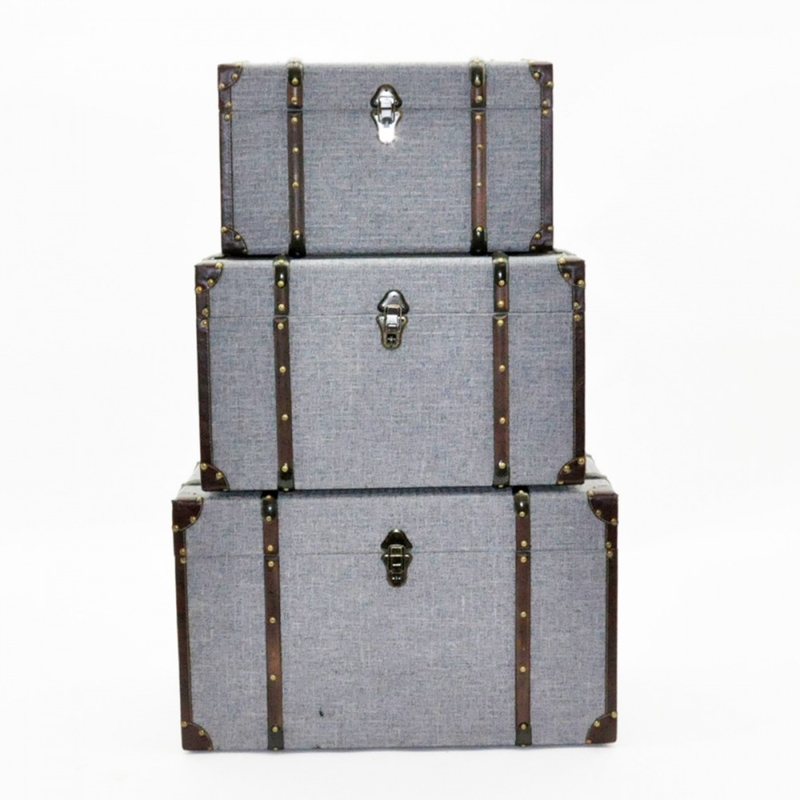 Look no further, introducing the newest addition to our lovely collection of Storage & Trunks, these beautiful Grey Linen Storage Chests are a must have addition to your home, not only to solve your storage issues but to give your interior and instant upgrade. Each chest is complete in a grey colour and made from linen giving it a modern feel. Made to the highest quality these storage chest are a must have addition and are ensured to last a lifetime.